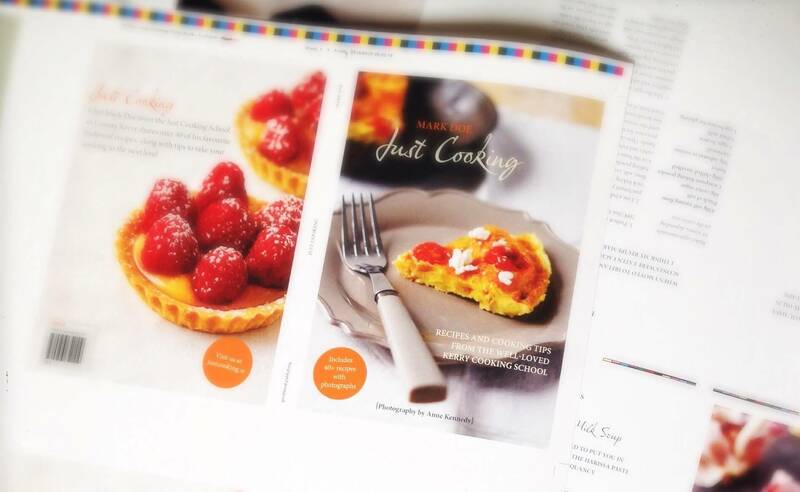 ﻿ Cookbook | Just Cooking | Kerry's premier and much loved Cookery school in Firies. Mark's favourite recipes from the cookery school. 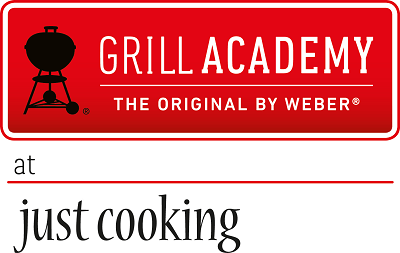 Just Cooking | Our Cookbook. The just cooking cookbook contains over 40 of Mark’s favourite recipes from the cookery school as well as plenty of tips and advice to take your cooking to the next level. The dishes are suitable for any level of cook and make this book a must for all food lovers. Stunning photography by Anne Kennedy captures the beauty of the dishes and all of the recipes and methods are written in Marks easy to follow format. A comprehensive pantry chapter has recipes that will allow you to cook up quick dishes and the book also has plenty of advice on choosing essential kitchen utensils. Recipes include mackerel with beetroot chutney, slow roast duck wraps, crab and herb crusted hake and lemon curd and raspberry tart. The book also has plenty of advice on essential kitchen utensils and foods to have in your pantry. The book is priced at €14.00, with free post and packaging within Ireland. The book is €19.00 when shipping outside of Ireland. Please contact us if you have any questions.